It is our planet too! As a corporation we believe that we have a responsibility to protect the environment and provide a safe workplace. So it is no wonder that here at Sunoco, these priorities are of utmost importance. It’s why we are industry leaders when it comes to environmental practices, and have excellent safety performance records across the company. Most important, we are constantly committed to creating and implementing new standards to continuously improve in both of these areas. You can count on Sunoco, to always be at the forefront of corporate responsibility. To reduce engine and fuel supply deposits, the Environmental Protection Agency (EPA) requires all consumer gasoline to contain detergent additives. At Sunoco, we have conducted our own testing to ensure our gasoline keeps intake valves and fuel injectors clean. As a result, our gasolines significantly exceed EPA gasoline detergency standards. 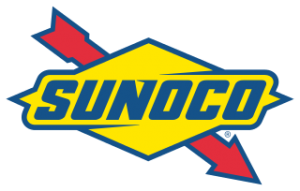 In a recent report known as the Updated Environmentalist’s Guide to Gasoline, the Sierra Club lists Sunoco as the most environmentally responsible oil corporation in the United States. Safety Leadership – All contractors and employees must understand their individual role in our safety program and are held accountable to work safely every day. Hazard Recognition – Through the use of Job Hazard Analysis (JHA) potential hazards can be recognized and prevented at each work site. Safety Training – Training modules use the latest adult learning and comprehension techniques to ensure our employees and contractors understand the safety requirements and retain the knowledge necessary to help them work safe. Commitment – Employees and management are key to achieving positive safety performance. All Sunoco employees are expected, and encouraged, to take the initiative to either help resolve an issue, correct the situation, or notify appropriate personnel so the issue can be resolved.